The courtyard between the Guildhall Art Gallery and the church of St Lawrence Jewry, Guildhall Yard is the entrance way to both. 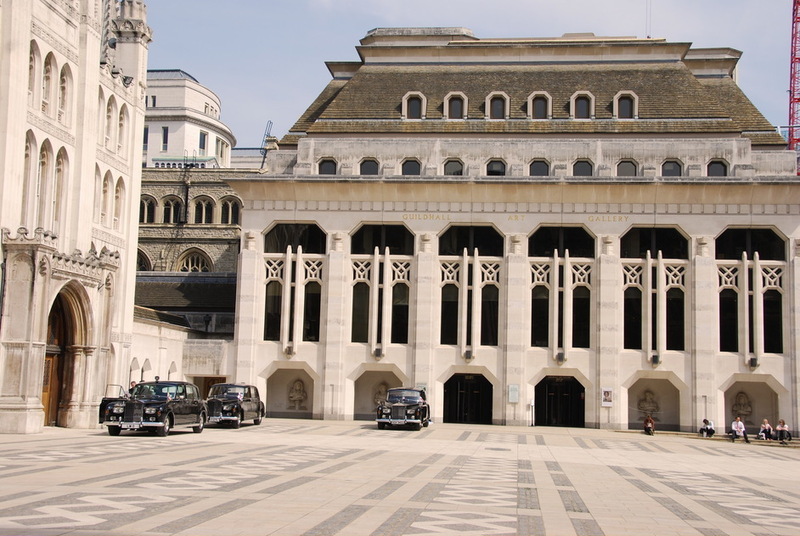 It's also home to an occasion lunch food market, open air film screenings - and it's the site where The Worshipful Company of Carmen holds its cart-marking ceremony each July. During the Roman period, the courtyard was the site of the largest amphitheatre in Britannia, partial remains of which are on public display in the basement of Guildhall Art Gallery. T he outline of the arena is visible on the paving of the courtyard in front of the hall - marked with a black circle. Excavations in 2000 revealed remains of the great 13th-century gatehouse built directly over the southern entrance to the Roman amphitheatre. What are the best dining options near Guildhall Yard London? Guildhall Yard gyms, sporting activities, health & beauty and fitness. The best pubs near London Guildhall Yard. Guildhall Yard clubs, bars, cabaret nights, casinos and interesting nightlife. Where to have your meeting, conference, exhibition, private dining or training course near Guildhall Yard. From cheap budget places to stay to luxury 5 star suites see our discounts for Guildhall Yard hotels, including Club Quarters Gracechurch from 82% off.